Flat cage assemblies consist of a basic cage made from plastic or metal and a large number of precisely guided rolling elements. Needle rollers provide a minimal construction height and optimum load carrying capacity and rigidity whilst cylindrical rollers are less demanding with regard to the connecting structure and have a slightly less rigidity. 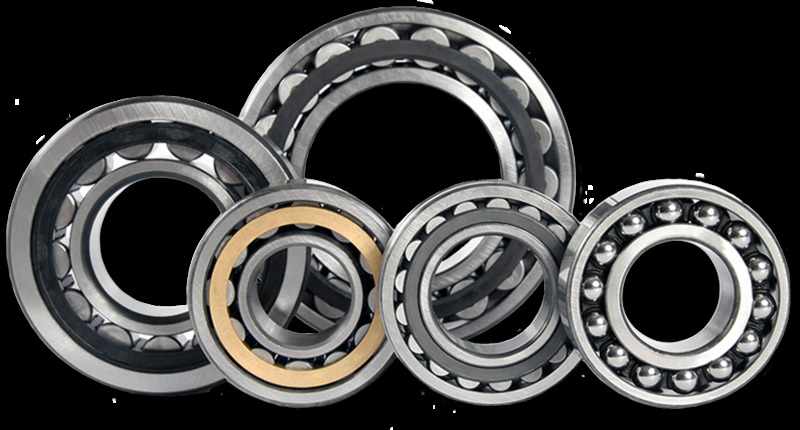 Balls create the lowest level of friction of all rolling bearings. Flat cage assemblies are designed for use with precision guideways but can also be used directly with customer-specific elements with appropriate raceways. HG Series -Identical load in four direction (up/down/right/left), self-aligning to absorb installation-error, high stiffness, high precision EG Series - Self – aligning capability to absorb installation- error, suitable for the high-speed automatic machines. MG Series (Miniature Linear Guide way ) -MGN Series : Anti –corrosion ability, compact size -MGW Series : Anti- corrosion ability, Wide rail, Miniature size , High stiffness against moment load E1 Series (Self – Lubricant Linear Guide way) -Saving cost from lubricant device inside and reducing oil purchase, Maintenance Free for Long period using. Q1 Series (Quiet Linear Guide way with Ball Chain Technology) - Low noise design, smooth movement, quieter operation, steady lubrication and long service life. RG Series (High Rigidity Roller type linear guide way) - The Rolling element of steel ball substituted by the roller, designed for realizing the super-high rigidity and the high load ability.